This Bluetooth glove is a cellular phone accessory that was bound to be made eventually. It gives some sort of validity to the almost instinctive habit we have of miming a phone call by holding a hand, with thumb and pinkie extended, to the head. 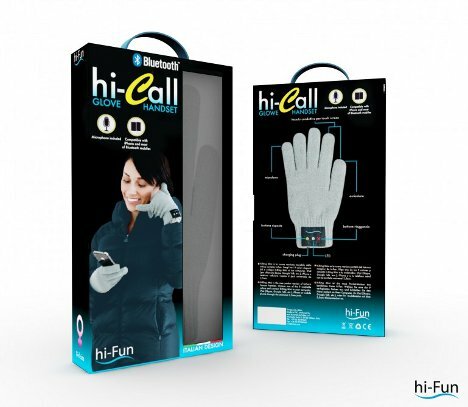 The hi-Call glove from Italian company hi-Fun lets you use that gesture to make actual phone calls with your Bluetooth-equipped phone, no uncomfortable earpiece needed. The glove works in much the way you might expect, with a microphone in the pinkie and a speaker in the thumb, to make and receive phone calls. In order to initiate phone calls the phone itself needs to be accessed, unless it is capable of voice dialing. In that case you can simply push a button on the glove and say the name of the person you want to call. 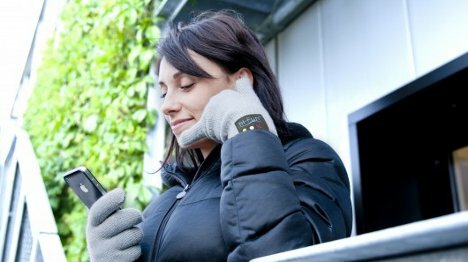 It seems pretty convenient to just hold up a gloved hand to talk rather than pulling out a phone in the middle of the cold, cold winter. 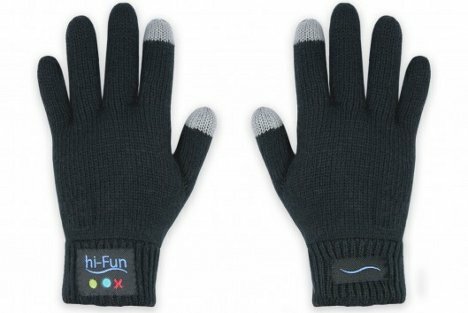 The hi-Call has a decent battery life, but it is not waterproof so you may need to wear another pair of gloves for shoveling the driveway in the winter. The left glove is the one with the electronics and the right one is just a plain non-phone glove, so at least both of your hands get to stay warm. The down side? You’ll look a little like a crazy person talking into your hand. See more in Phones & Mobile or under Gadgets. September, 2012.